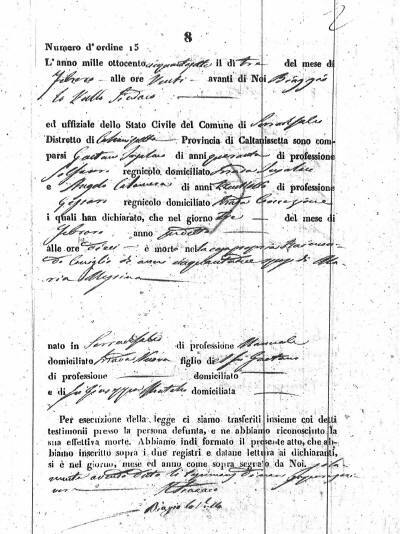 Civil birth records were not made in the island portion of Kingdom of the Two Sicilies until 1820, and church baptism records are missing for 1800 - 1820. 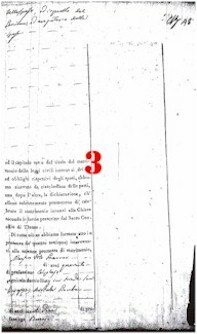 Raimondo's birth year is estimated from his age given on various documents including his marriage record, his death record, and the birth records of his children. Raimondo's occupation is variously given in different documents as capraio (goatherd), pecoraio (shepherd) and manuale (manual laborer). Whether in 1801 or 1810 or in between, Raimondo was born during the reign of the King of Sicily, Ferdinandu I (also known as Ferdinandu III and IV!! 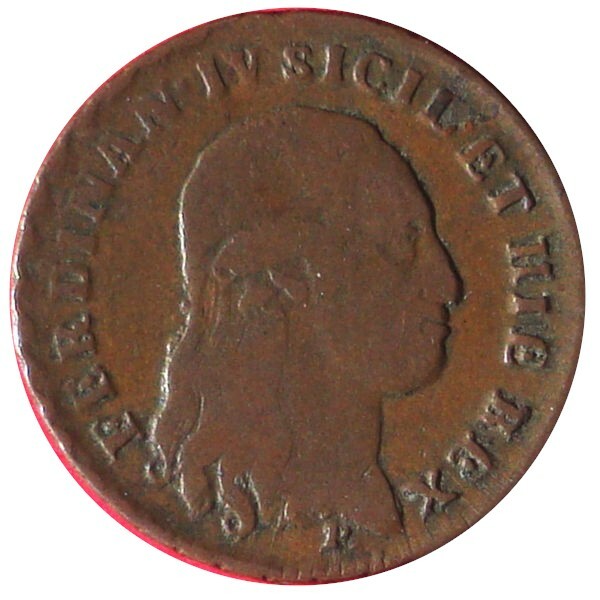 ), who in turn was a subject of his brother King Charles IV of Spain and All its Holdings (including Sicily). 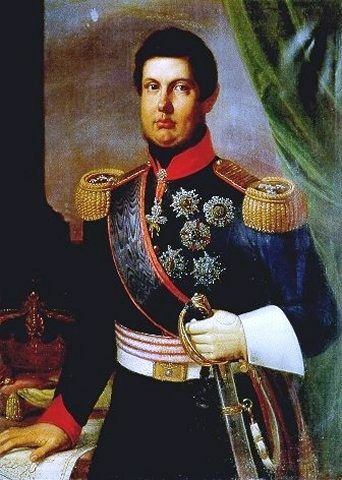 Ferdinandu essentially left control of Sicily to his wife Maria Carolina of Austria. 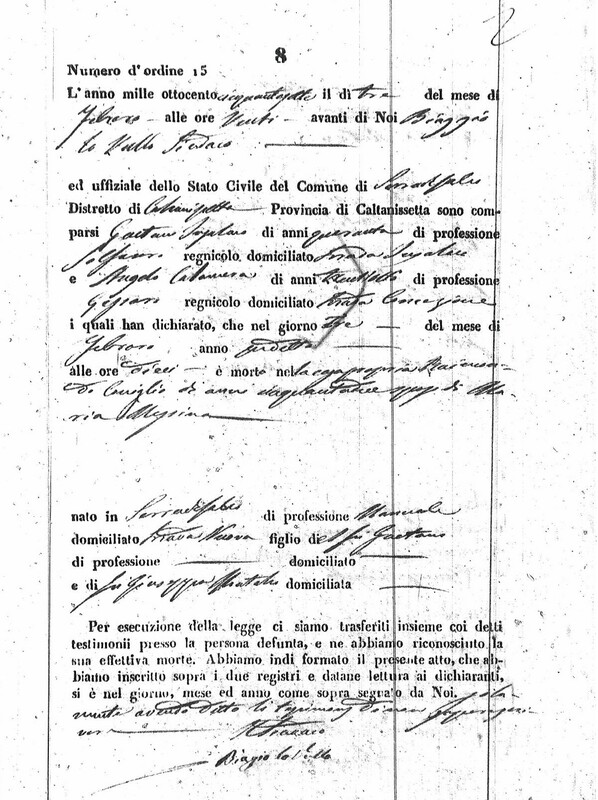 My great-grandfather was not born in Italy, which did not exist as a nation in his lifetime. He was born in the Kingdom of Sicily and lived most of his life in its successor nation, the Kingdom of the Two Sicilies. 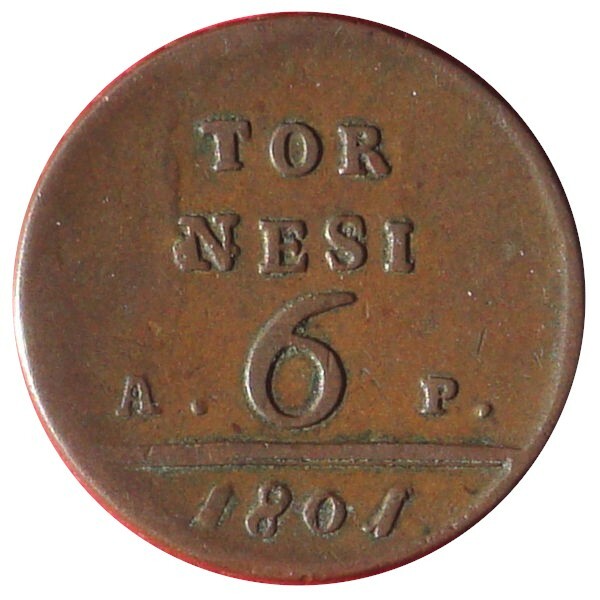 He was married in 1830, just before the death of the ruler of the Kingdom of the Two Sicilies, Francescu Primu (Francis I), the son of Ferdinandu and Maria Carolina. In the United States, Thomas Jefferson was President in 1801, the first year the nation's capital was in Washington, DC, having moved the year before from Philadelphia. In 1803, western outlaw Jesse James was hunted down and killed. 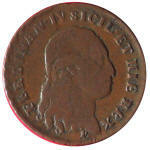 In 1808, after Jefferson's two terms, James Madison was elected President. 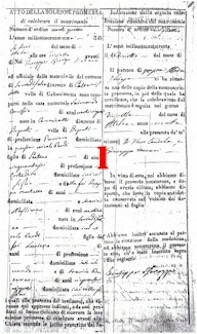 In 1830, the year my paternal great-grandfather Raimondo Coniglio married Maria Messina, the island of Sicily, with Naples and the southern Italian peninsula formed the Regno dei Due Sicilie (Kingdom of the Two Sicilies), ruled by Bourbon Spain. 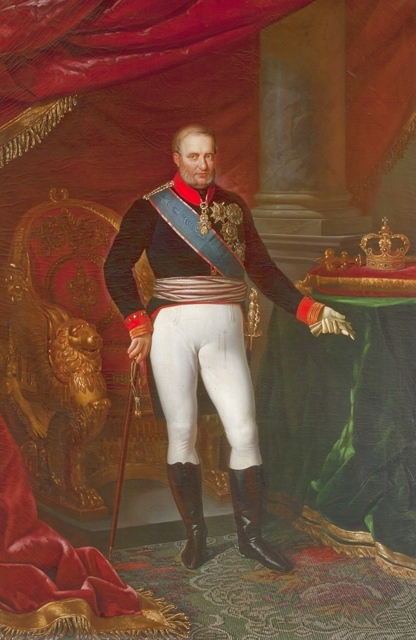 Raimondo and his family owed allegiance to the King of the Two Sicilies, Ferdinando II, newly crowned in 1830. Fernando II, in turn, was a subject of his cousin Isabella II, Queen of Spain and All its Holdings (including Sicily). In the United States, Andrew Jackson was in his first term as President. 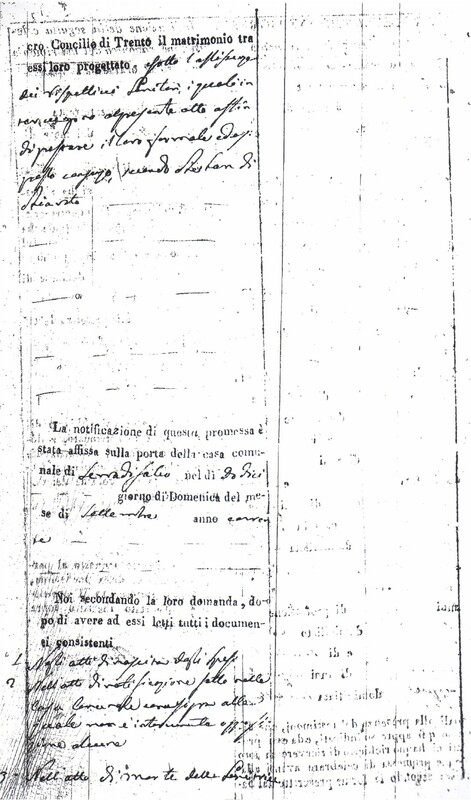 The 1830 civil record of the marriage promise reproduced below, for my paternal great-grandparents Raimondo Coniglio and Maria Messina, covers four pages. To the right is a summary. 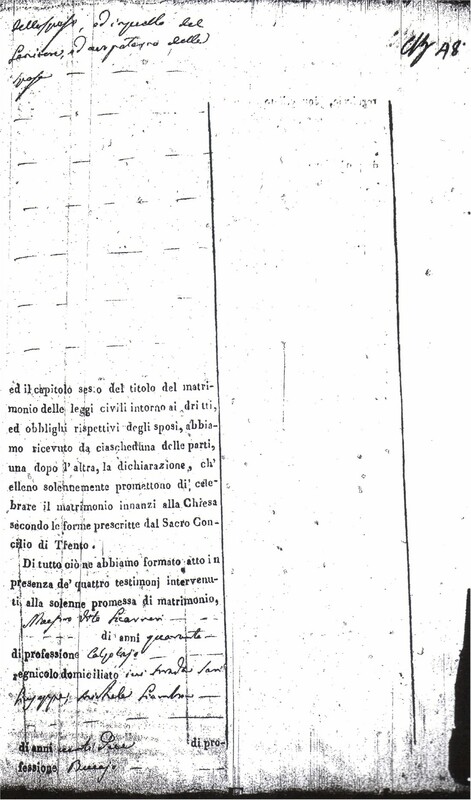 The form is in two columns, on the left showing the Record of the Solemn Promise to celebrate matrimony, while the right-hand column is entitled 'Indication of the subsequent canonical [church] celebration of marriage'. Only the left column of the record is translated below. 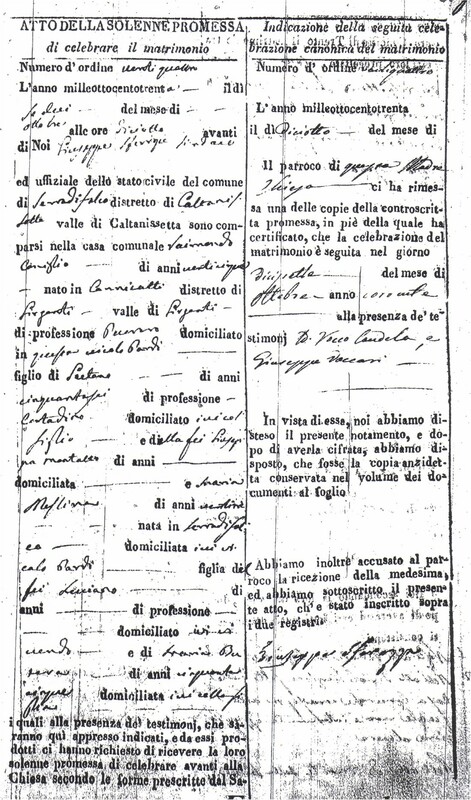 Essentially, the left column gives the details of the civil promise made at the Town Hall, while the right column simply confirms that the couple was married in church on 17 October 1830 in the presence of witnesses Don Rocco Candela and Giuseppe Vaccari, and that the civil and church records were cross-referenced. 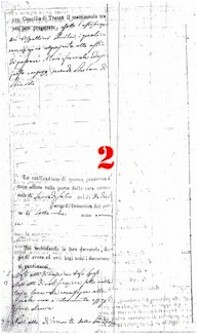 Although this record states that Raimondo was born in Canicatti, all other evidence is that he was actually born in Serradifalco. This record is only the promise or contract to marry, but it contains much more information than the actual marriage record made by the church. 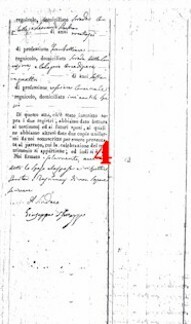 Click on the images at left to see the original documents. Year eighteen hundred thirty, day sixteen of the month of October at hour eighteen, before Us, Giuseppe Sferrazza Mayor and official of civil records of the town of Serradifalco, district of Caltanissetta, val [region] of Caltanissetta, have appeared in the town hall: Raimondo Coniglio age twenty-five, born in Canicatti, occupation shepherd, living in this town at Vicolo Pardi, son of Gaetano, age fifty-six, occupation sharecropper living here with his son, and of the late Giuseppa Montalto; and Maria Messina, age twenty-three, born in Serradifalco, living here at Vicolo Pardi, daughter of the late Luciano who resided here when living, and daughter of Maria Butera, age fifty-five, who lives here with her daughter. 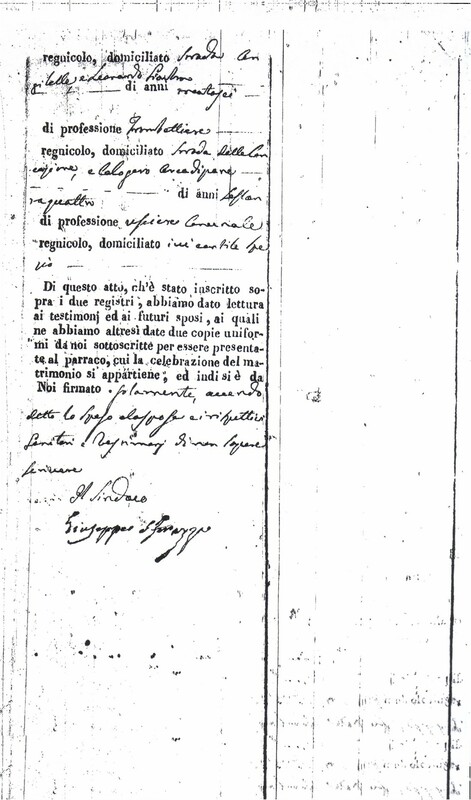 [p. 2] Council of Trent for the marriage which they plan between them with the support of their respective parents, who came together for the present record in order to lend their express and formal consent, which they have accordingly declared. and having also read chapter six under the title of marriage of the civil laws regarding the respective rights and obligations of the spouses, we have received from each of the parties, one after the other, the declaration, that they solemnly promise to celebrate the marriage before the Church according to the format prescribed by the Holy Council of Trent. We have read this record, which is inscribed on the two registers, to the witnesses and the bride and groom, to whom we have also given two consistent copies signed by Us, to be presented to the parish priest, to whom the celebration of the marriage pertains, and then it is signed by us alone, the groom and the bride and the respective parents and witnesses having said they don't know how to write. This translation is factually correct. To conserve space, it is not a strict literal translation. 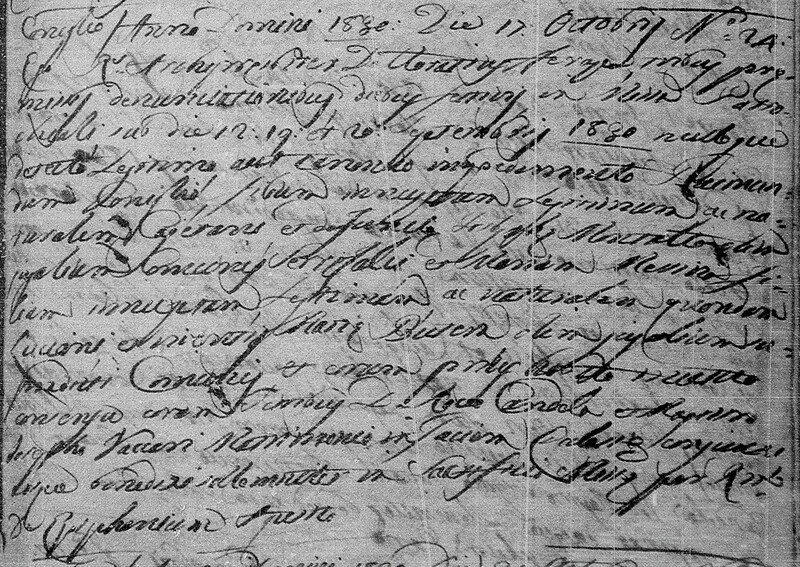 This is the church marriage record of my paternal great grandparents Raimondo Coniglio and Maria Messina. All the Latin words aren't decipherable, but the critical information is. 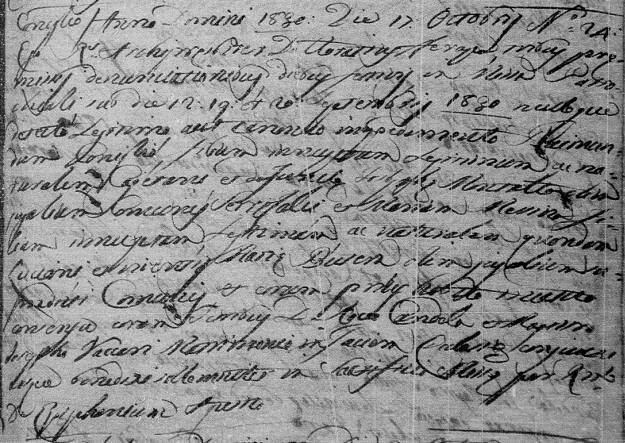 The date given on the church marriage record is consistent with the statement on the right of the civil contract. turalem Caietani et Josephae Montalto . . .
d . . . . . . .
son of Gaetano, and of Giuseppa Montalto . . .
Don . 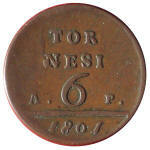 . . . . . .
he was born in Serradifalco, occupation manual laborer, lived on Strada Nuova. Son of the late Gaetano and of the late Giuseppa Montalto. According to the law we went together with the named witnesses to the side of the deceased, and we have acknowledged his actual death. We have today created this document, we have inscribed it on two registers and have read it to the declarants on the day, month and year as above, and it is signed by Us alone, the witnesses having stated that they don't know how to write.